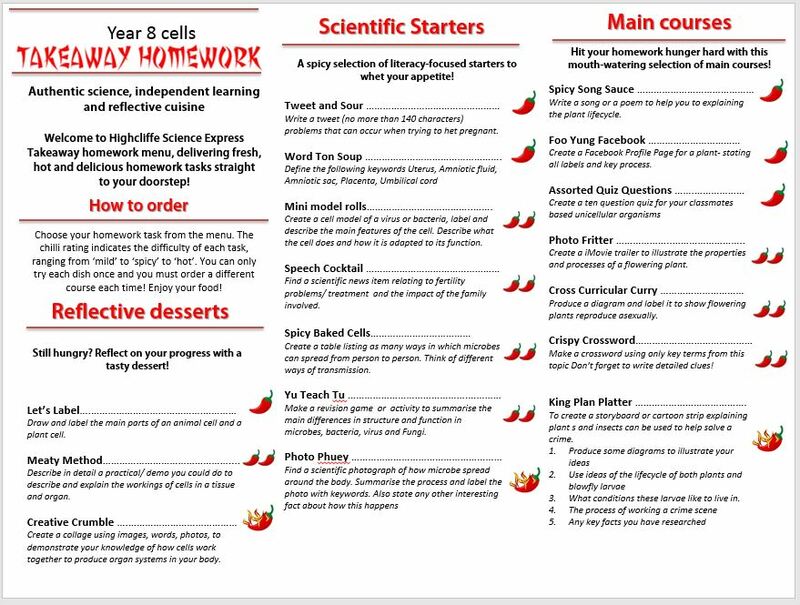 In our new in-house key stage 3 science course we have developed a home study takeaway menu for all of our new units. The menu is differentiated (spicy is a harder task etc.) and students can choose to some extent which level of challenge is most appropriate to their ability. The tasks get progressively more difficult. 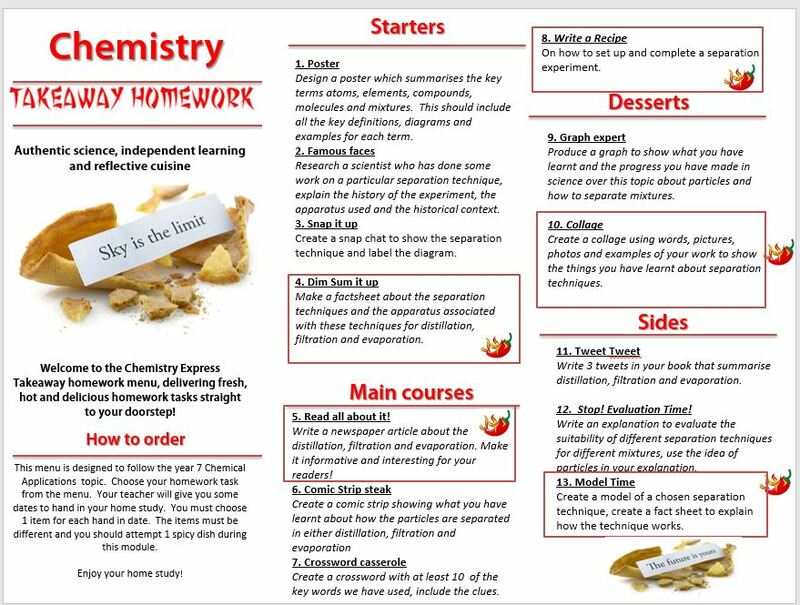 One approach we use to ensure the students don't just do the easiest task is to state in the instructions that they must complete one spicy task by the end of the unit. 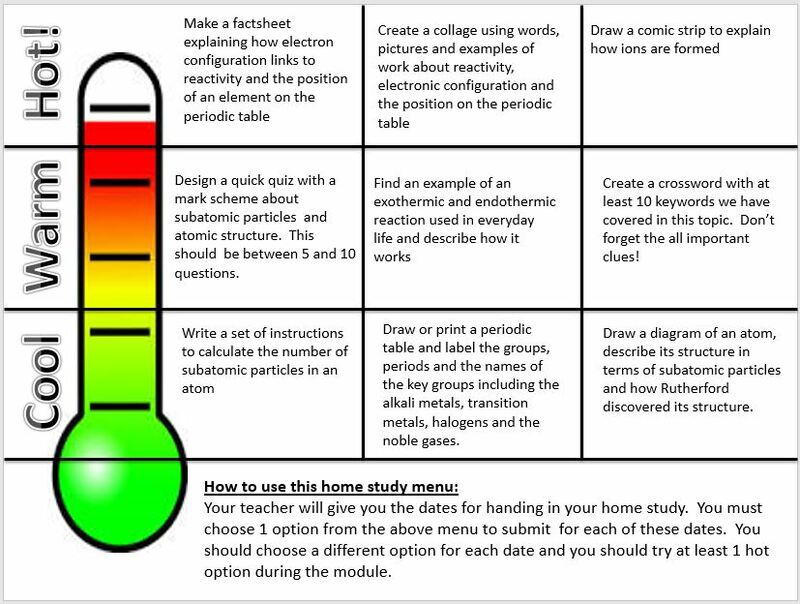 This type of home study gives the students a feeling of ownership and engages them much more than giving everyone the same task to do. The tasks are designed to extend the knowledge and understanding that the students have acquired in class through being engaging and relevant. The sheets are easily adapted to any curriculum area.